GolfHerd, the web-based golf league management software app, allows you to manage your golf league, club or association’s operations via the web. Go online, log-in to GolfHerd and manage your membership roster and communications, set up and revise greens fees and tee times, and more as needed on one or more golf courses. Tournament scheduling and management is simplified too in GolfHerd. 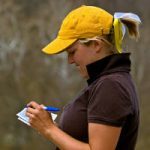 From set-up and registration down to pairings, printing cart cards and starter’s lists, and scoring the results, GolfHerd guides you through the tournament process. 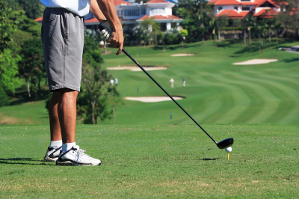 Managing your membership roster includes accommodating your golf league’s visitors and guests too. Using intuitive logic and navigation GolfHerd presents your golf league’s members with an on-line experience in a logical, user friendly format. Members browse to GolfHerd and log-in to view availability and tournaments, sign-up and cancel themselves for tee times (scheduled tee times or shotgun starts) and automatically receive email notification of the same, all without your direct involvement. Non-member visitors and guests may also browse to your golf league’s website and add themselves, or ‘opt-in’, to your GolfHerd database with ease. GolfHerd also gives you the option to allow visitors and guests to view availability for golf dates and tournaments, sign-up for tee times (scheduled or shotgun start) and automatically receive email notification of their actions, again without administrative involvement. 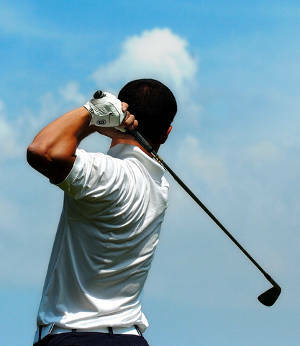 Tournament sign-up is online and streamlined with GolfHerd’s tournament module. GolfHerd groups all tournament registration fee components (playing, social, mementos) into a single sign-up item. You may offer non-player tournament components (social, mementos) for separate, individual purchase using the GolfHerd tournament module. Golf leagues subscribing to GolfHerd are always accessing the up-to-date version of GolfHerd available. There is no need to purchase upgrades to make use of GolfHerd’s latest innovations and improvements. GolfHerd, the web-based golf league management software app, streamlines your golf league’s day-to-day operations.